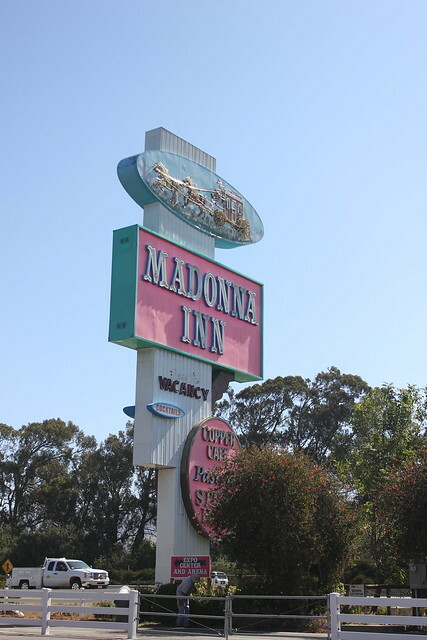 Perhaps one of the reasons I was happy on my own and content to head back to my hotel in San Luis Obispo, is because my hotel was the famous Madonna Inn. 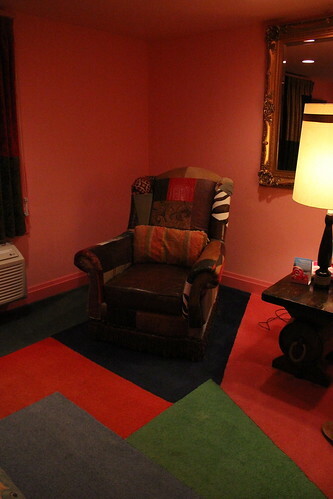 When I walked into the lobby area to check in, I knew I'd seen the place before - on "The Girls Next Door" - when Holly, Kendra and Bridget stayed there on a girls' weekend. 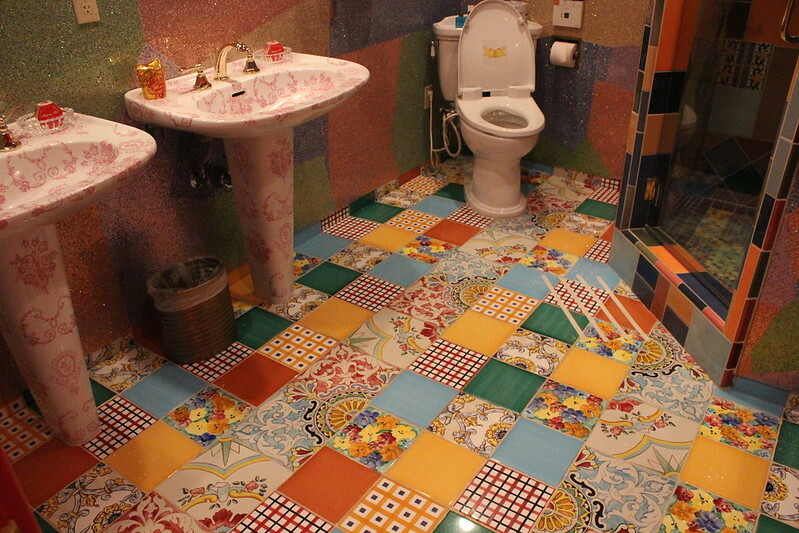 A hotel featured on a reality show, where every room has over-the-top decor, is completely different from the next and was featured on a reality show? 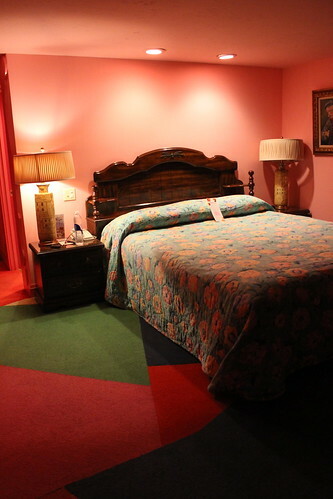 Obviously, this hotel was right up my (Bubblegum) alley. Get it? 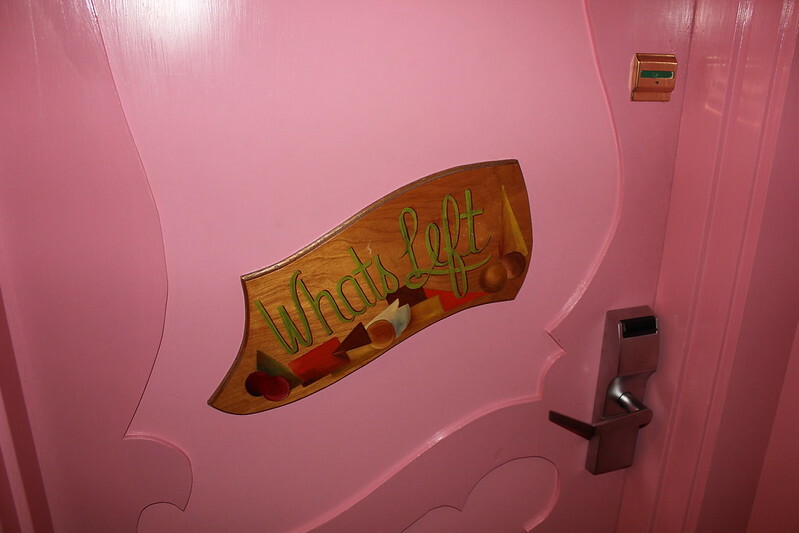 My room, called, "What's Left," had cotton candy pink walls, color-blocked carpeting, and two wingback chairs covered in loud fabric squares and leather. 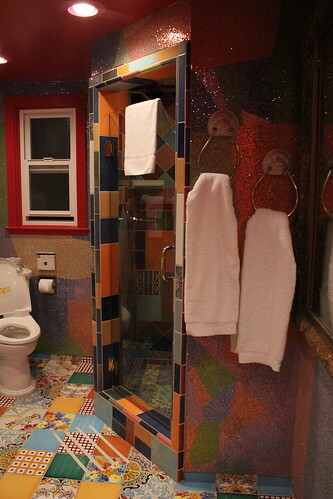 In the bathroom, the only thing louder than the patterned tile on the floor and walls was the sequined wallpaper. 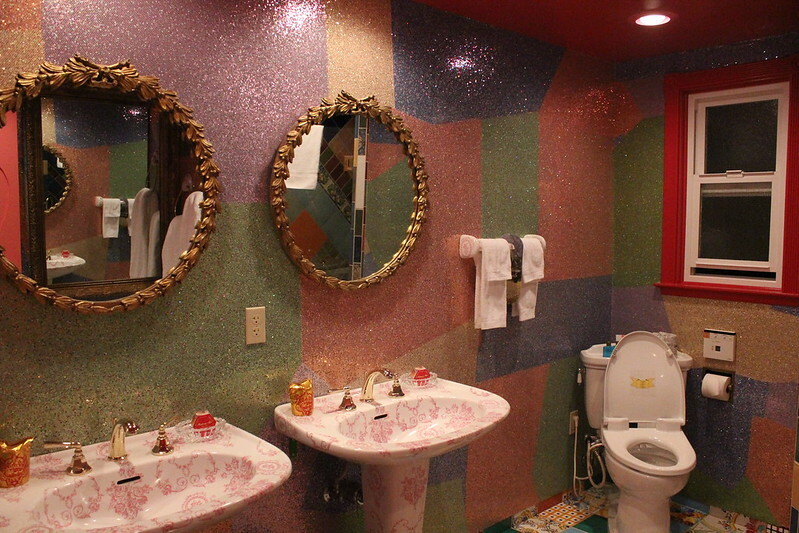 Yes, you read that correctly - sequined wallpaper. Can you think of anything more fabulous? 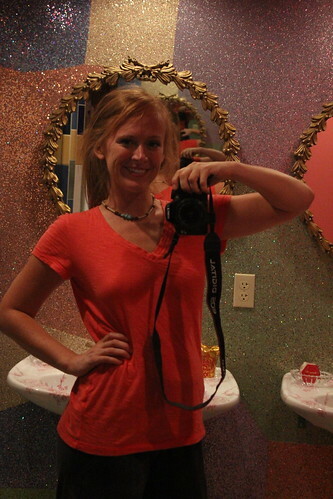 Here's wishing you a happy weekend - full of sequins and brightly colored things. 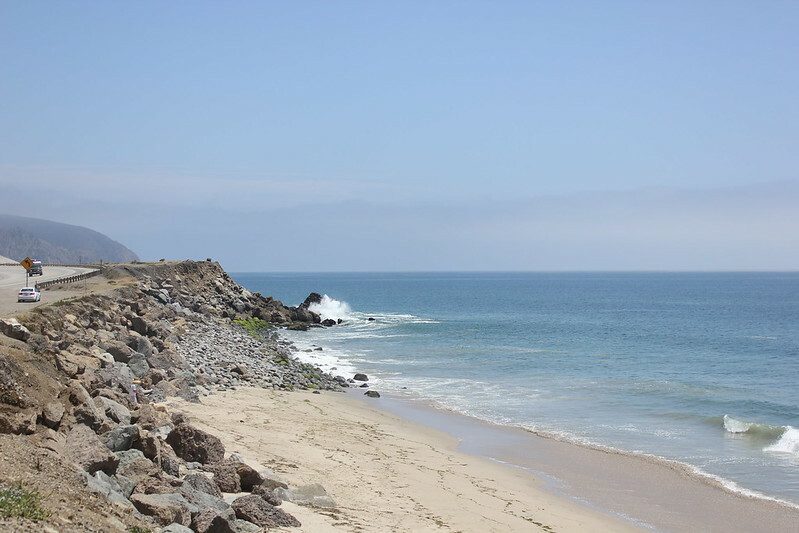 When I decided to combine a visit with Kelly in Southern California with Elizabeth's wedding weekend in Northern California into a one very big vacation, I thought for sure that by the time August rolled around, I'd have met someone (a fella, perhaps?) 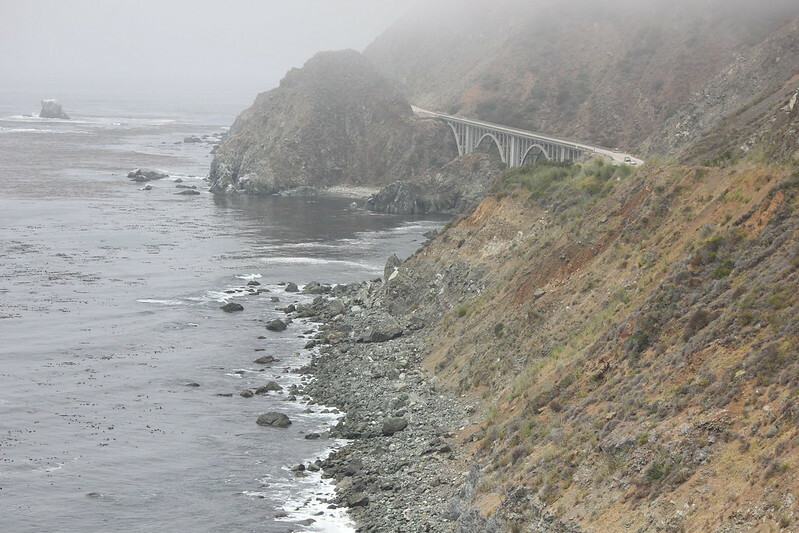 who would want to accompany me on a drive up the scenic (and romantic) Pacific Coast Highway. 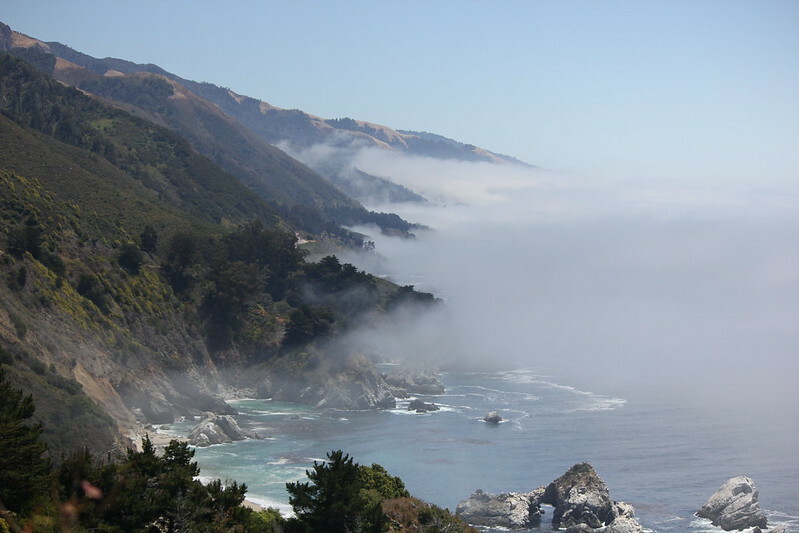 If not a guy, maybe a friend would want to join me for a west coast adventure? It could be just like Thelma & Louise, minus the whole murder thing. At the very least, maybe someone also heading to Elizabeth's wedding might need a lift from Los Angeles to San Francisco and I could give them a ride? I had a lot of prospects ranging from the bags-are-packed-but-I-have-no-vacation-time to the mildly-interested-that-sounds-cool-but-probably-not, but none who could actually commit. 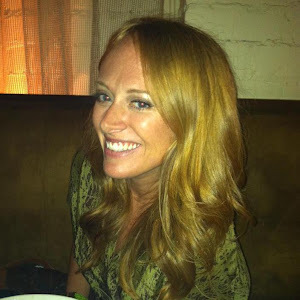 I decided to embrace the hand I was dealt and execute my plan anyway. So I rented a car and took off on a solo excursion. 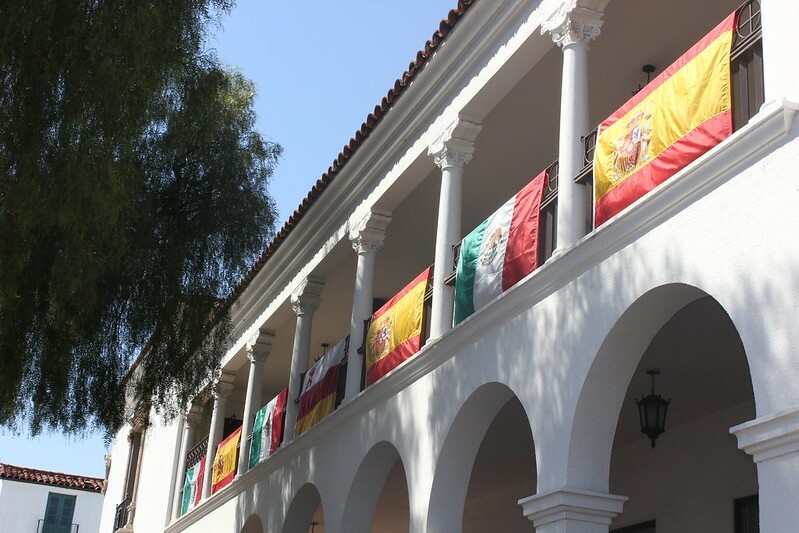 Though not in exactly the way I'd pictured, I said hello to my celebrity friends as I drove through Malibu and took a stroll through Santa Barbara and a Mexican culture festival before stopping for the evening in San Luis Obispo. 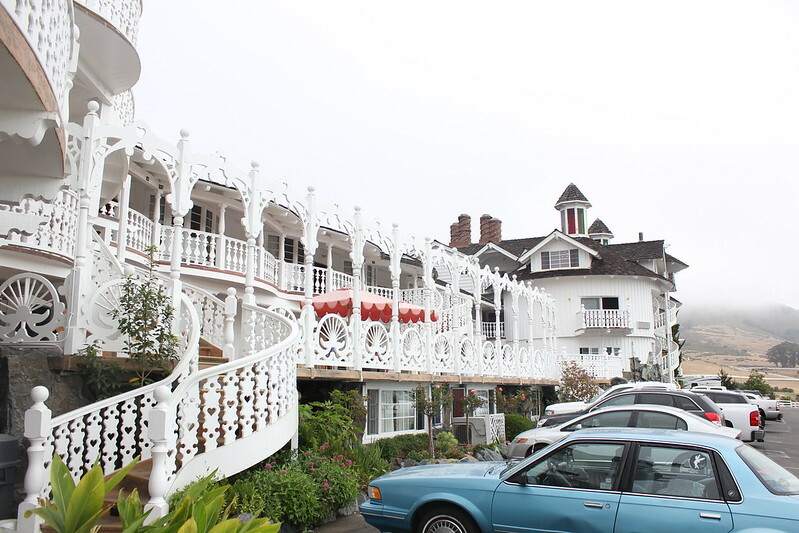 Because of its pleasant climate, walkable streets and friendly people, San Luis Obispo has been called the happiest city in America. Perhaps I was still basking in the glow of my new little friends or maybe it was the fact that the economy car I bid on through Priceline turned into brand new Nissan Altima at the rental car counter, but I was feeling quite happy. 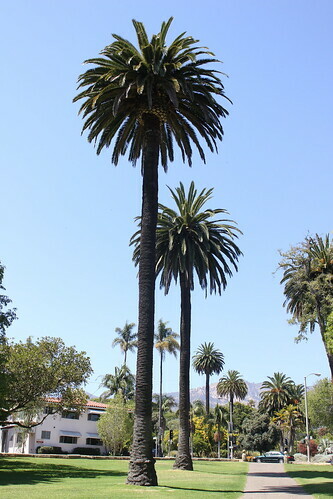 In fact, I was happy before I even left Kelly's house, as she and I shared a lot of laughs over my failed attempts to pronounce "San Luis Obispo." 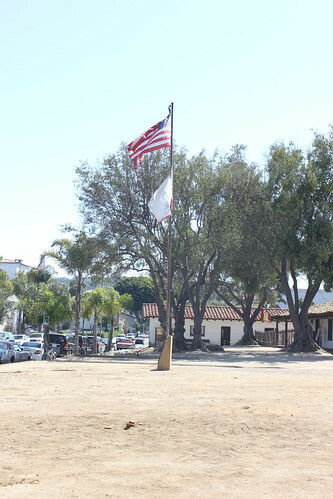 Eventually I started calling it "SLO" like all of the locals do, but with a slight southern accent, I sounded like a complete loser. 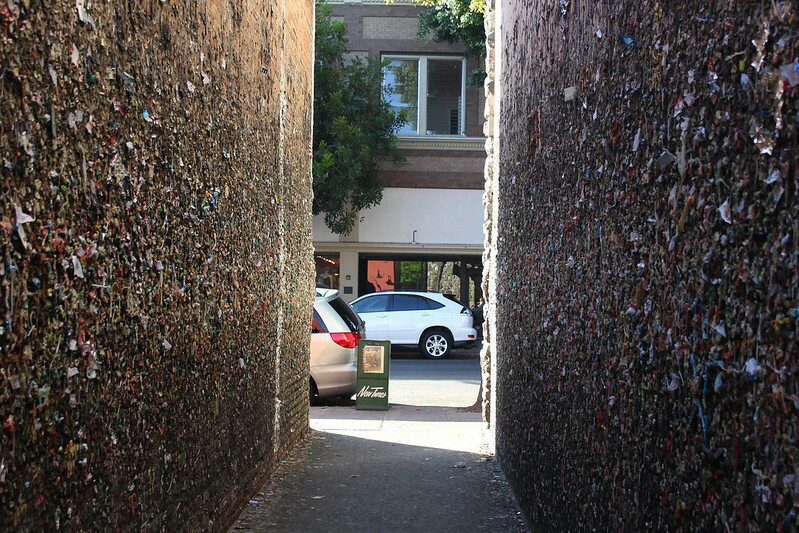 One of the city's must-sees, according to the Lonely Planet travel book I read like it was the Bible, is "Bubblegum Alley," an alleyway covered with decades of chewing gum. 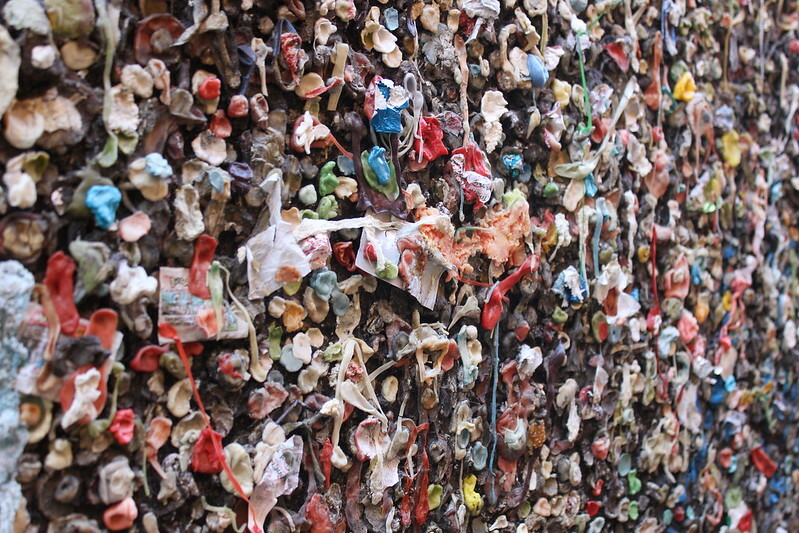 I'm not a germaphobe (at all) but when I stepped into the alley I felt like all the mouths that had once chewed this gum were now breathing on me. I kept getting whiffs of Watermelon mixed with Spearmint, Grape mixed with Winterfresh and it made my stomach turn. For the first time all day, I did not feel happy, so I stayed long enough to take pictures, and then moved on. All day I noticed that whenever I heard a good song, saw a beautiful landscape, or encountered a funny person, I wished that I'd been able to convince someone to come along for the ride. I'd have to stop myself from reaching for my phone to text or email someone, even if just to say, "I almost threw up in Bubblegum Alley!" I know there is joy to be had on my own - and I've been lucky to have experienced it - but I also know me; and I like company. With a great deal of work, I have found peace and contentment within myself - but finding peace and contentment by myself is a completely different thing; I'm still working on it. I cannot deny, though, that there is something satisfying about being on my own in a strange city - free to explore (or not explore) at my own pace, on my own timeline. I've been known to make travel companions crazy with my inability to keep up with the group and my tendency to "wander" slowly with my head tilted back so I can take in all of the sights and all of the sounds. By myself, I had no one to answer to. 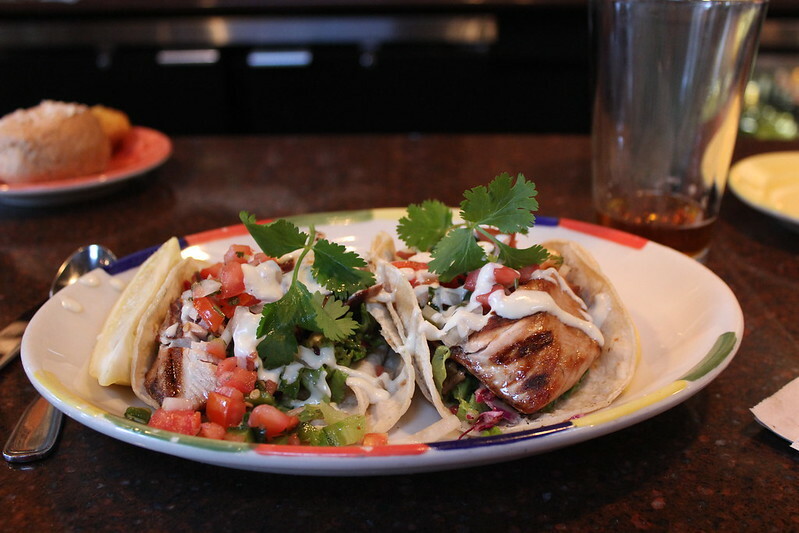 So, I went to Big Sky and drank Anchor Steams, ate fish tacos, and talked to the bartender. And then went to my hotel and watched the Olympics. Not exactly the raucous or adventurous night I would've spent in the happiest city in America had I been with companions, but it was SLO according to me and that made me very happy.